With voice lessons you will gain knowledge of your voice and how to use it to the best of your ability. You will learn and develop your range, pitch (if you have trouble), techniques to make your singing easier and better, work on performance, and you will gain confidence as you practice getting better each week. Whether you sing in your room and your too shy to sing in front of people, or if your a singer in a band who wants to continue to improve and keep your voice healthy, I can help you whatever your goal! I've helped singers in all genres such as rock, pop, r&b, church music, blues, musical theater, jazz etc. to reach their singing goals. I also specialize in teaching voice while playing an instrument. (I teach piano and played guitar for 6 years). In our lessons I will record exercises tailored to your voice for you to practice at home. I am a Roster Artist at Lyric Opera of Kansas City with 92 productions to my credit. I have also sung with New Haven Opera. I am currently singing La Bohème for the sixth time and awaiting contracts for the 2014-2015 season. Thomas began playing the piano when he was three, had a private teacher at age seven, and studied in high school at Jordan College of Music, Butler University. When he began his music studies at Ball State University, he learned that he could also sing! He earned his Master’s degree at University of Bridgeport, and returned to Ball State for a Doctor of Arts in Voice. His postgraduate education continued winning a fellowship at Aspen Music Festival (Fiora Contino, Margaret Hillis and Charlene Archibeque), Clare College Cambridge (where his teachers included John Rutter, Sir David Willcocks and Stephen Cleobury), The Britten-Pears School (Hugues Cuenod) and a fellowship from the National Endowment for the Humanities to Mozart’s Worlds in Vienna. Thomas sang the first performances of John Rutter’s “Shadows” for voice and guitar, with guitarist Ramona Hartmetz in Kansas City as well as Rutter’s “Mass for the Children” with the Philharmonia of Kansas City. He served as baritone soloist for Grace and Holy Trinity Cathedral, KC, and on tour in Salzburg, Paris, Florence, Westminster Abbey and the cathedrals of Christchurch, St. Mary’s, Southwell, Ely, St. Patrick’s, St. Davids, Birmingham, Wells, Bristol, Worcester, Exeter and Norwich. After singing opera throughout his college years, his first ‘professional’ opera was “Die Fledermaus” at New Haven Opera. Lyric Opera Kansas City hired Thomas in 1981 for the chorus of “Fidelio” and the rest is history! One hundred plus shows, and counting! I am a laid back teacher with a great sense of humor. You will also learn a lot of music theory and music history from me! My lessons begin with some training in reading music (Music Theory) and I suggest that you purchase Alfred's Music Theory Volume One or Two depending on your level of understanding. After refreshing your music reading and rhythm skills, we will listen to you sing and begin to vocalize. I will develop exercises just for you, to help you develop your voice, making it stronger and more flexible. When you have warmed up your voice with vocal exercises, we will work together on the music you wish to learn. It could be a song, an aria, a Broadway or Opera aria, or a religious piece. Large 30 foot living room with two pianos, music stands, keyboard, couches, seating area. Mac computer, multiple cameras and great sound system. He may be good if you want to sing opera. I just didn't connect with him and his 'Style' of teaching. I was looking for more current music and that was where a very large disconnect was. Right off the bat I could tell that my daughter will flourish with Dr. G. He is very encouraging while simultaneously effective at improving a weak nuance of her current skill set without making it feel like a negative critique. She is very excited to see what he can help her accomplish. Awesome teacher! The good Dr. knows his stuff and has the credentials to prove it. If you want to improve your voice give him a try. You won't be disappointed. I emphasize classical technique from a physical perspective, and lessons are sometimes a body awareness workout. Read my profile carefully before you sign up with me. Through this physical approach, we discover what the student's voice truly is, instead of attempting to mimic popular artists. Singing and Voice lessons must be at least 45min duration. Customized for individual goals, Singing lessons may include many things. Perhaps your goal is as simple as enjoying the healthy benefits of breathing deeply, strengthening posture, and singing for fun. Senior citizens can take singing lessons for the purpose of remembering old songs while sitting up and breathing. 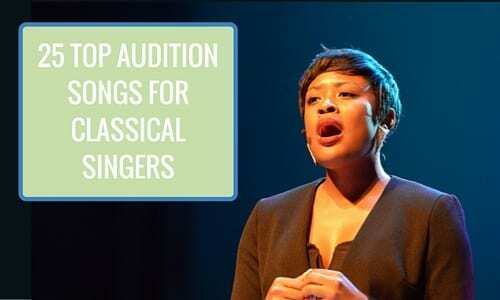 Singing lessons teach proper vocal warm-up, but also emphasize becoming familiar with the many standard songs of various genres. (1) Student learns how other artists use music to communicate, advocate, heal, and grow. (2) Student learns how to use music for self-discovery of artistic aims. (3) Singing student learns how own body functions as a musical instrument, on a flexible schedule. Having sung leads on Broadway in shows including "1776" and "Annie" and studied with two very prominent voice teachers, I place a lot of emphasis on support and placement and being each lesson with a series of exercises designed to teach vocal technique. When coaching a song , as I am an acting as well as voice teacher, I work on dramatic interpretation as well. The song is not just the music, but the words and the emotions as well. I want my students to leave their lessons feeling they have accomplished something and loving singing as much as I do. y Rock", Gilmore Girls", "Law and Order" and others. Her goal in working with her students is not only to teach healthy vocal technique, but in keeping with her theatre background, her strong belief that "Every song is a scene or monoglogue" leads her to make sure the student know what they are singing or speaking about, and can do so with a clarity of emotion and dramatic intent. She has a BA in theatre/voice from the University of Kansas where she serves on the Advisory Board For the Department of Theatre and Film and has an MFA from the Graduate Musical Theatre Writing Program at NYU Tisch School of the Arts where she is a guest lecturer. She is a member of AEA, SAG/AFTRA, AGMA and The Dramatists Guild. "Mary is able to reach not only those students who are already excited about theater but inspire those who have no previous knowledge of it. To watch these young men and women become more and more accomplished is a marvelous thing. She inspired them all. "...Mark St. Germain, Obie winning playwright. In a one hour lesson, we will spend twenty five minutes on vocal exercises designed to teach support and placement. Having performed leads on and Off Broadway, I know that without good technique you can't do eight shows a week, do back to back sets in a nightclub or cabaret or tour as a pop or rock singer. The second half of the lesson is spent on songs. As an acting as well as vocal coach, I focus on dramatics as well as musical interpretation. A singer must be connected to the words as well as the music. I hope to teach you to love singing as much as I do. Mary is a lively, voluble person with enormous experience particularly in musical theater who enjoys working with students. Initially and as the student moves along, Mary assesses talent and abilities and then continues to periodically reassess the learning in a manner that never ceases to amaze me. I have been working with Mary for six months and found her evaluations of my strengths and what I need to work on to be spot on every time. What I esteem most is Mary's technical acumen, the techniques she learned from her teachers and mentors and her experience as a performer. Her keen ear and eye immediately pick out every nuance being sung that needs work. She answers questions about where "to go" in throat, mouth, tongue, torso, etc., demonstrating how to correctly produce the sounds, tones, and supported breathing in question. Voice teachers, of course, are supposed to do this. Mary does this superbly. If you are seeking a teacher who knows her technique, especially in musical theater, I highly recommend Mary. In my opinion, our session last night wasn't productive. My opinion is, you weren't really interested in teaching me. Out of the 60 minute session. I only did about 3 to 5 minutes of exercises. You spent 55 minutes talking about your past and present students, professional actors you know, show business, acting techniques and your accomplishments. You did talk about about the script that i would read and the emotion behind it, but that lead into more about your students and professional actors you know. it took you 30 minutes in your office to find that script, (which should have been done a head of time) then we went downstairs and another 25 minutes of talking before i could read it to you. Towards the end when i finally spoke up about so much time being passed and nothing being done. You said you needed to see my personality so you can know where to start with me. That made no sense to me, how are you seeing my personality if you are the one mostly talking about your accomplishments and who you know and what you've done? Why not pick a point and start there and see what my weak and strong points are? You also asked me the same questions you asked me on the phone, have you ever taken lessons before, why do you want to act, what do you do for work which to me just consumed more time. What i found surprising and discouraging was when you asked me why would I take acting classes up here when there are some of the best acting schools in the world just an hour away in New York City? I wish you had said that to me over the phone before our meeting, I would reconsider taking lessons from you and just spend the extra money and go down to the city. If i were an instructor i would be grateful for anyone who sacrificed their time and money to come see me, and never ask why they chose me when there is better not that far away. With that said I have decided to cancel my remaining lessons with you please do not bill me any further. PS Telling a person of color that they are a weird fit as a real estate agent in Croton N.Y, and would be a better fit in Brooklyn N.Y was discriminatory and offensive to me. I found Mary on my search for an acting coach pertaining mostly to my upcoming drama school auditions. Her vast knowledge of this business is evident as well as her ability to help ground and craft your work. Each and every lesson was applicable towards my artistic pursuit. I consistently recommend her as a leading instructor in this field! In my singing lessons I like to bring a variety of genres to the table while teaching the same breathing techniques, scales, and warmups so my students see that music no matter the style all comes out of the same vocal technique and training. I also collaborate with my vocal students to find that genres of music they enjoy and suits their voice and abilities. I also like to bring to table my 6 years of teaching experience, as well as over 15 years of performance experience, and a voice performance certificate from the Royal Conservatory of Canada. I has been playing and singing for 20 years and teaching piano and vocals for 6 years. I continue to play and sing solo as well as with the Mission Vineyard church worship team. I am passionate about helping my students gain confidence not only in their musical capabilities but also in themselves as individuals.